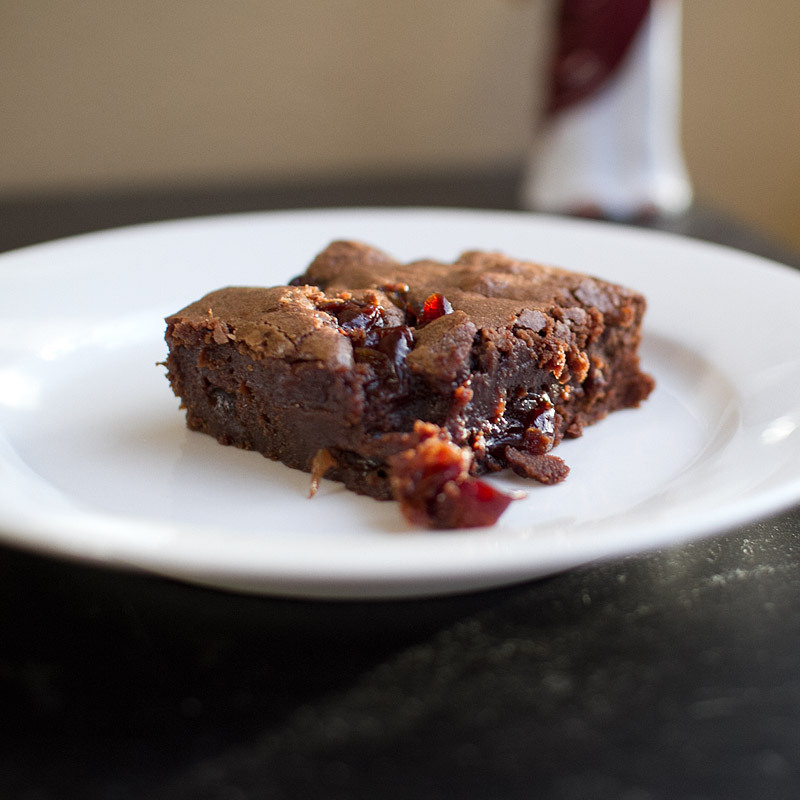 My good friend Debbie at @bringingbutterback made a batch of my roasted strawberry and salted caramel brownies last night and kindly texted a picture of her results to me (phenomenal, btw), which of course made me crave them too. I didn’t have any strawberries in the house, but my girl @rjeter27 hooked me up with a Costco-sized bag of dried tart cherries, and I’ve been waiting for the right inspiration to use them up. 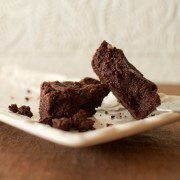 Debbie texting me a picture of her brownies (and causing instant crave-ication) was the inspiration. 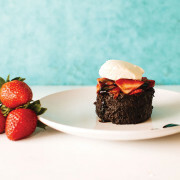 This is the basic one bowl brownie recipe that I snagged from smitten kitchen. 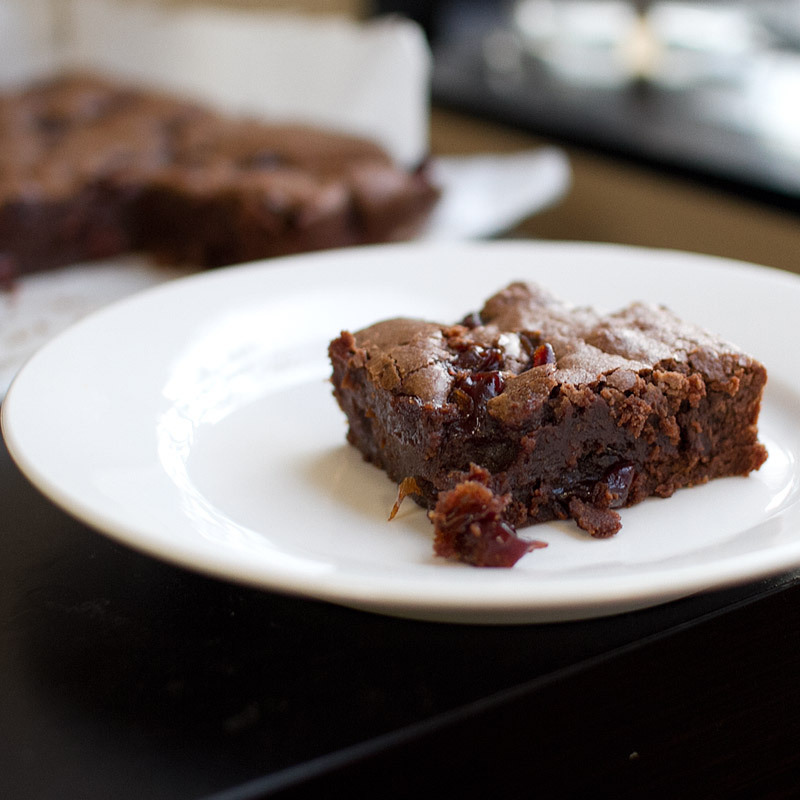 It’s my go-to, one bowl brownie base that works with all types of add-ins. it’s the Coldstone Creamery of brownie batters. 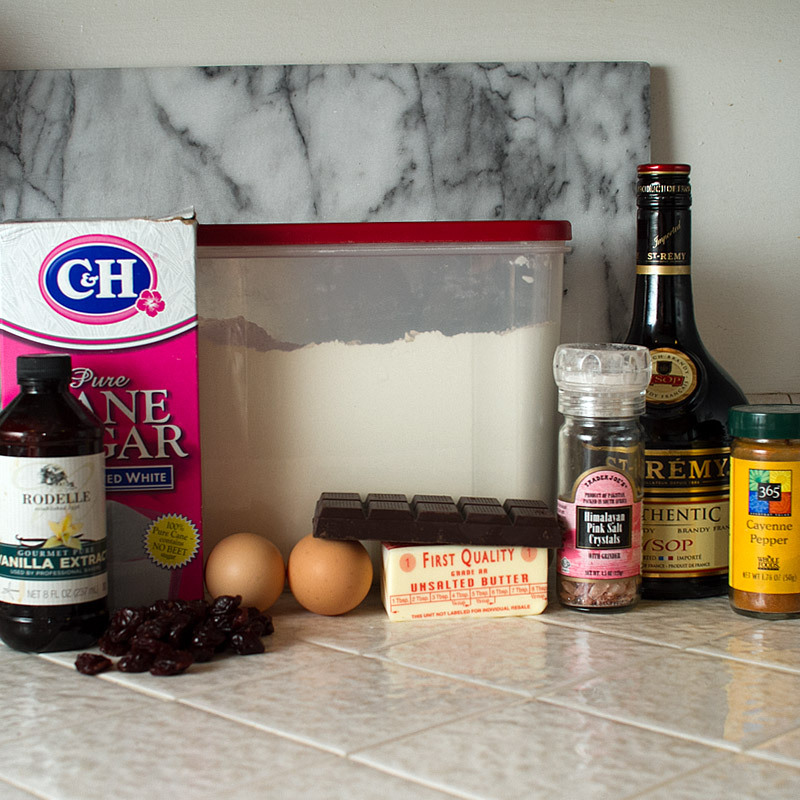 What you’ll need: vanilla extract, sugar, flour, brandy, sea salt, butter, dark chocolate, eggs, and dried tart cherries. 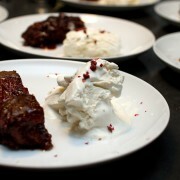 Start by placing cherries, water, sugar and cayenne pepper in a small saucepan and bring to a simmer. Simmer for 5 minutes, then add brandy. 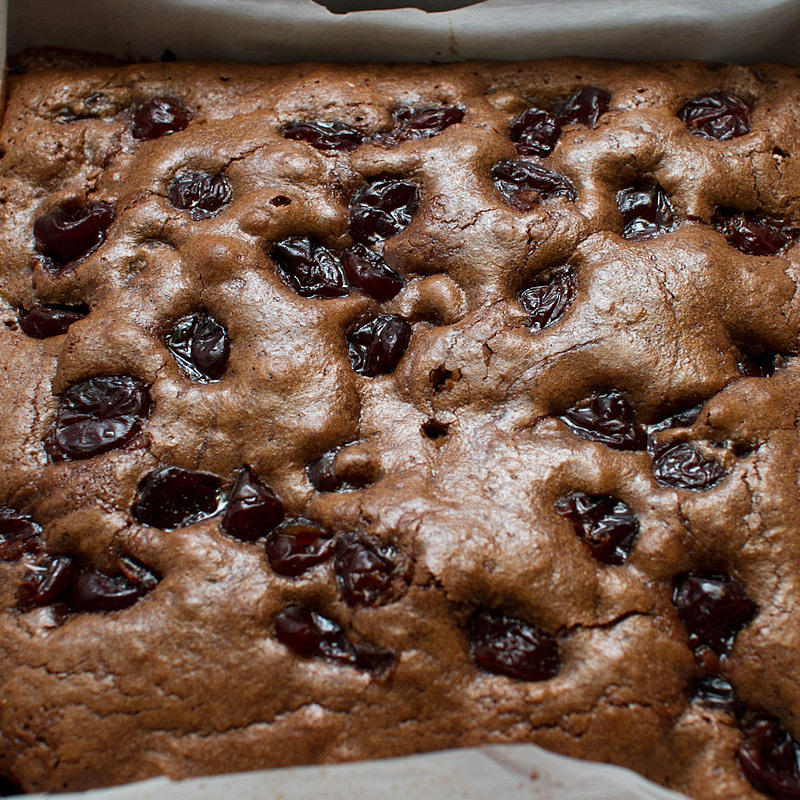 Let steep until cherries cool down a bit (about 20 minutes). Drain the liquid and set cherries aside. 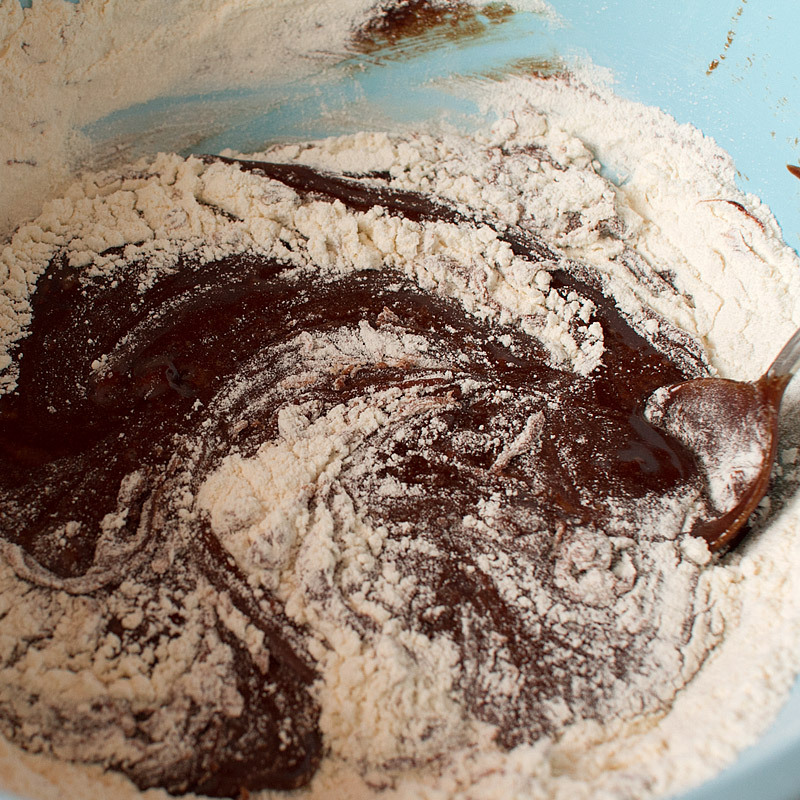 Mix the brownie batter – melt the butter and chocolate together, add in sugar, one egg at a time, vanilla extract and flour. 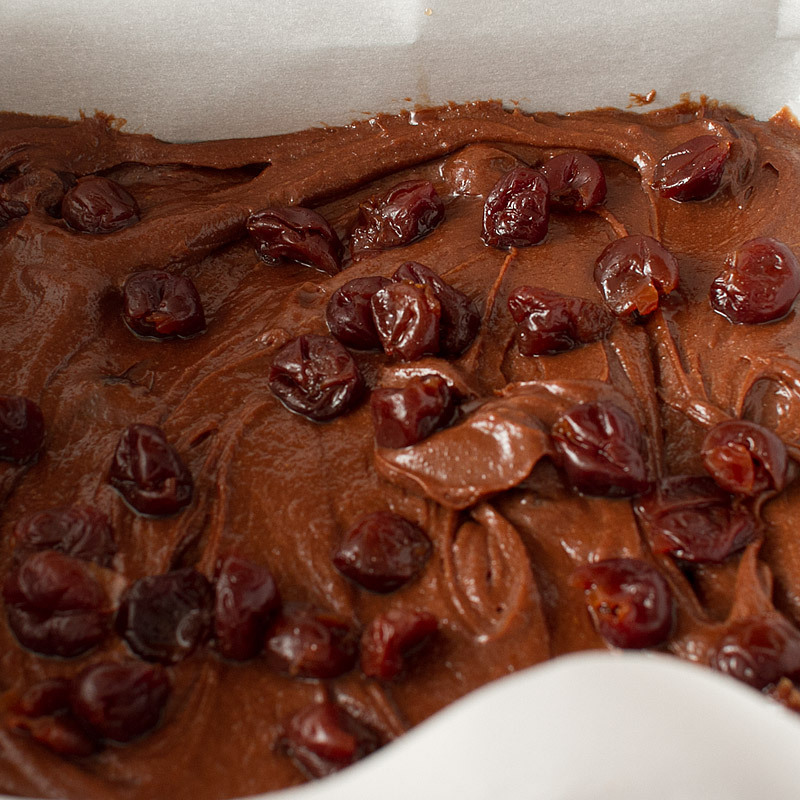 Mix half of the boozy cherries into the brownie batter. Take the other half of the cherries and sprankle sprankle them over the top. Ta-dasies! 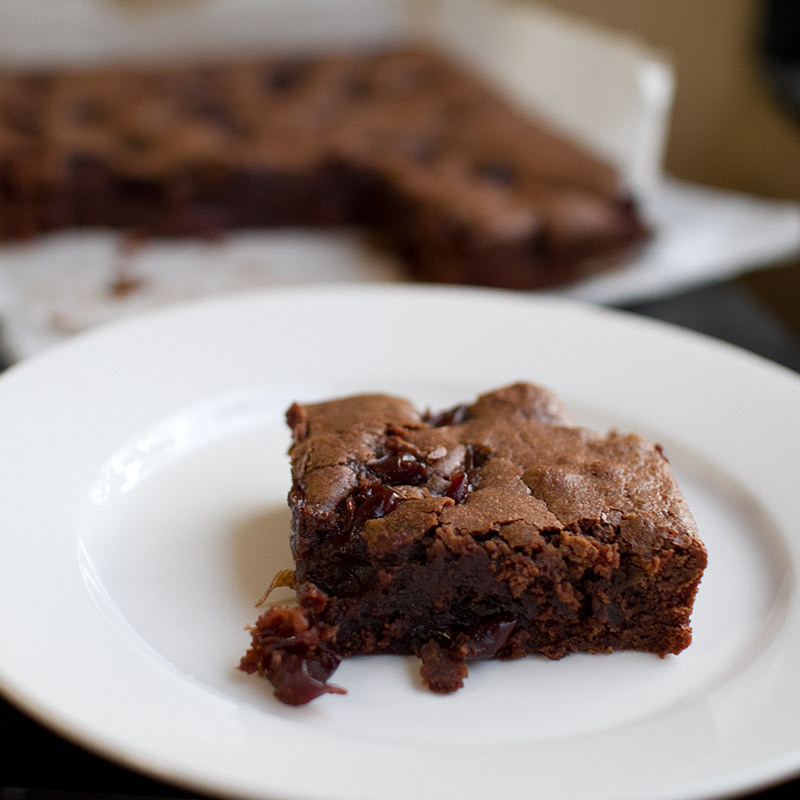 Spicy drunk cherry brownies. Combine cherries, sugar, water and cayenne pepper in a small saucepan. Bring to a simmer, and continue to simmer for 5 minutes. Remove from heat and add in your booze (I used brandy). 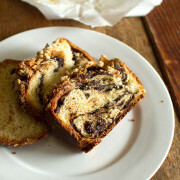 Let steep until it cools to about room temperature – about 20 minutes. 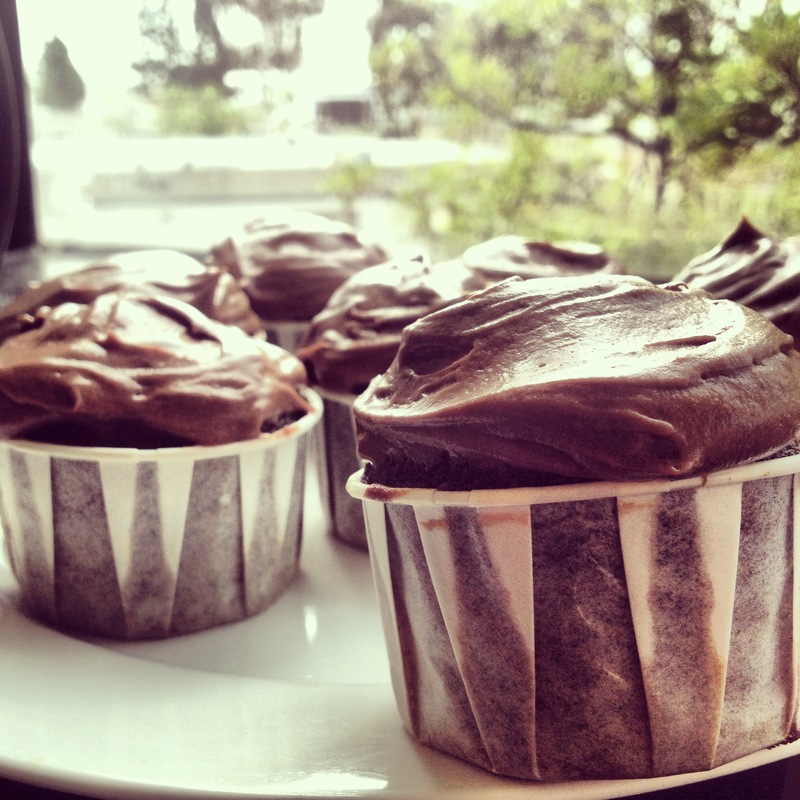 In a heatproof, microwave safe bowl, combine chopped chocolate and butter. Microwave in 30-second bursts, stirring between each, until butter and chocolate are mostly melted (took two rounds [1 full minute] in the microwave for me). Whisk in sugar, then eggs, one at a time, then vanilla and salt. 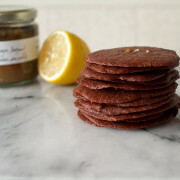 Stir in flour with a spoon or flexible spatula. 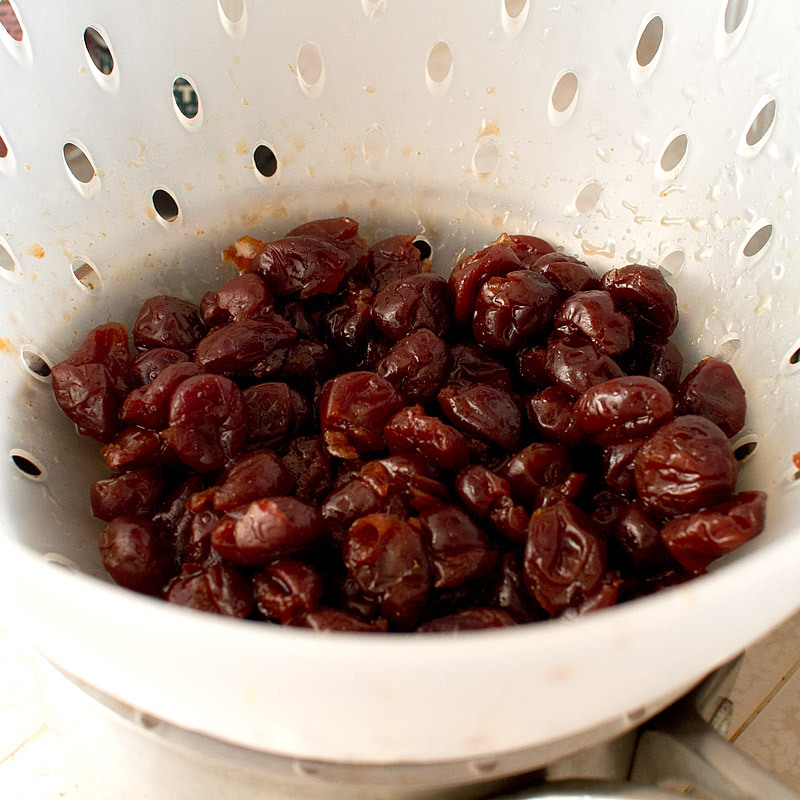 Stir in half of the drunk cherries. 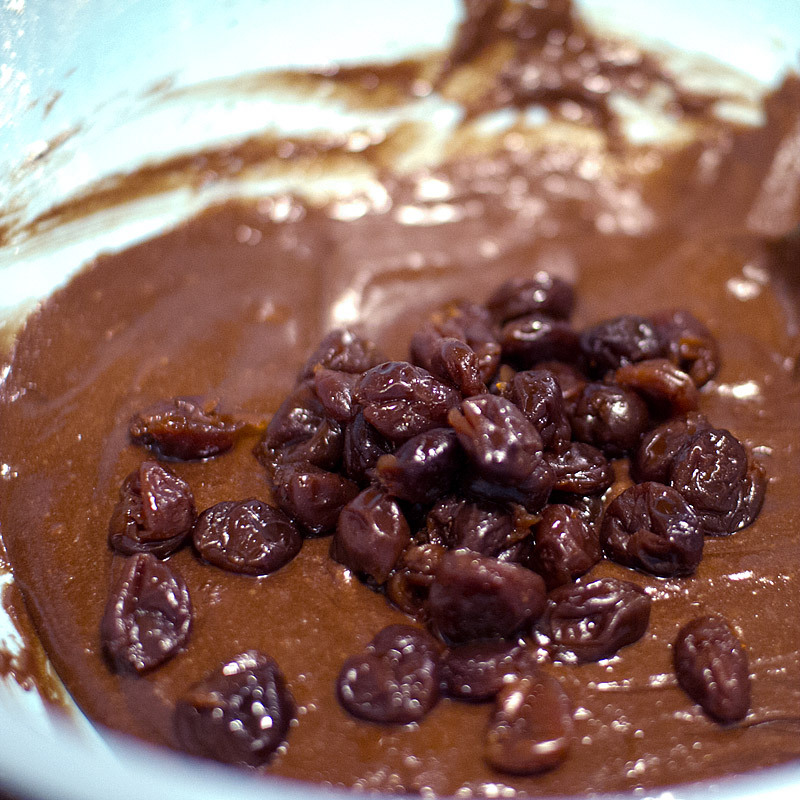 Scrape brownie batter into prepared pan, spreading until mostly even. 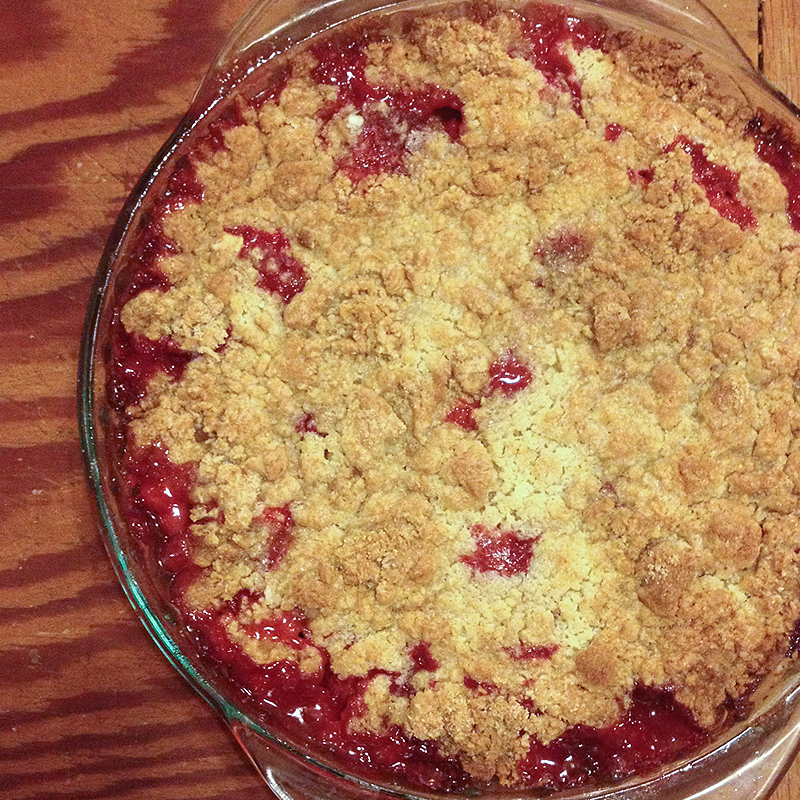 Top with remaining drunk cherries. 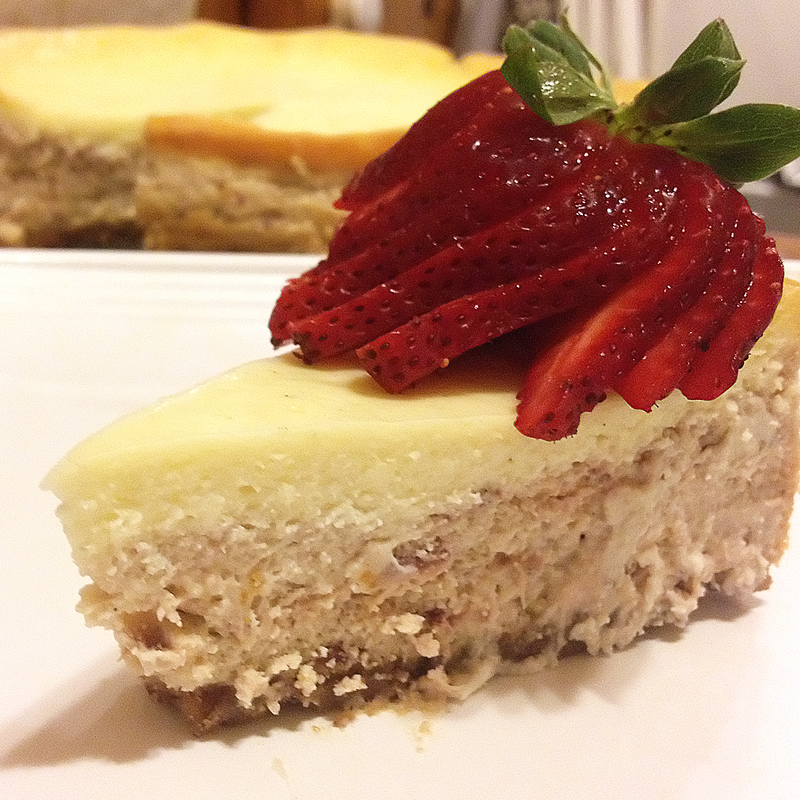 Bake for 30 minutes, or until toothpick inserted into the center comes out clean. 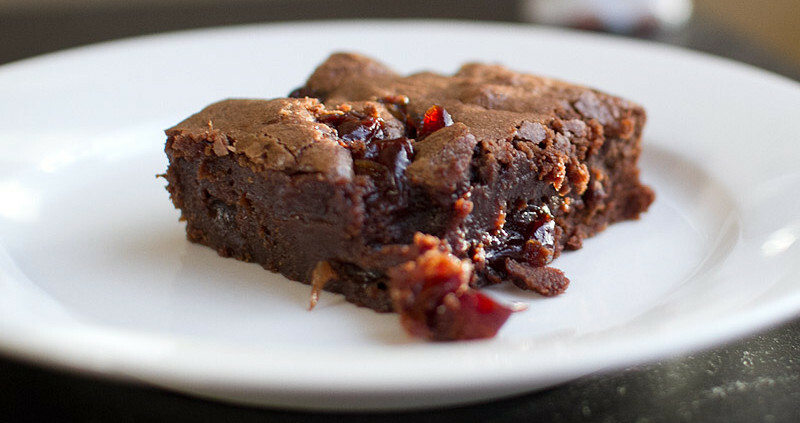 Brandy-soaked cherries + chocolate = YES! I’m all over that. Boozey cherries and chocolate? I’m with Brandon – I’m all in! You had me at drunk cherries. 🙂 These look divine!